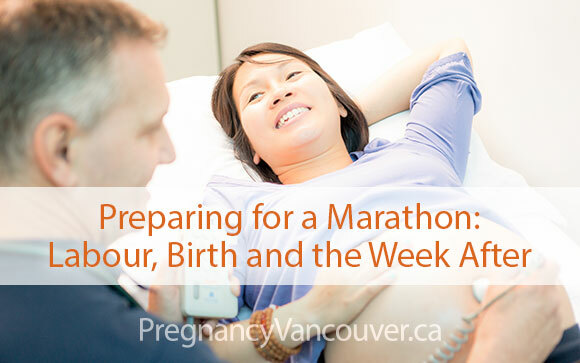 Most articles about preparing for birth focus on the “before” part—the plan for how you are getting to the hospital (partner, friend, taxi), and having a bag of essential items at least four weeks ahead of your due date. Labour is like getting ready for a marathon. If you are able to do some reading or prenatal classes and speak with your family doctor about your choices, you will feel more prepared. If you have practiced comfort positions, relaxation, breathing techniques, you will be able to choose the ones you find helpful. Most women are ready to go home one to two days after giving birth vaginally, and two to three days after giving birth by caesarean section. The first week or two at home may be when you need the most support. In this connected age of social media, it can be easy to be overwhelmed by all the calls, texts, and other messages that pour in after your baby is born. Consider appointing a friend as your personal secretary for a couple of days, and ask them to coordinate offers of help, share updates, and help keep a quiet space for you to be with your new baby. For the technologically inclined, the website meal train provides a handy way to streamline the formidable amount of coordination required if 20 different friends and family members all offer to provide you with a cooked meal. Family doctors can provide postpartum care for mom and baby for as long as they are needed, including expert care for newborns and support for common concerns like breastfeeding and nutrition. If you don’t have a family doctor for pregnancy and post-partum care, you can find one in the directory at pregnancyvancouver.ca.